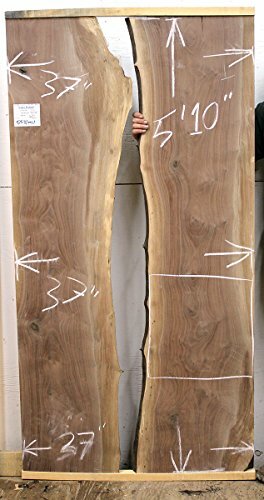 This unique Claro Walnut wood slab has excellent grain throughout with no major defects. it is a great size and shape for a custom river table, tabletop or kitchen island top. We want to make sure this slab is perfect for your project; if you would like additional photos or information on this slab please feel free to reach out to us. Widths: TOP 37"- MIDDLE 37"- BOTTOM 37"